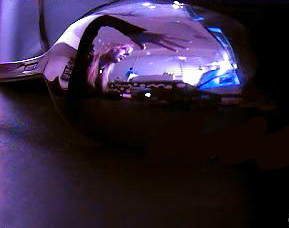 there was a spoon on my desk one evening - i looked down to notice that i could see myself reflected in it. everything looked purple and blue from the sky outside my window. the light in the center is the camera.